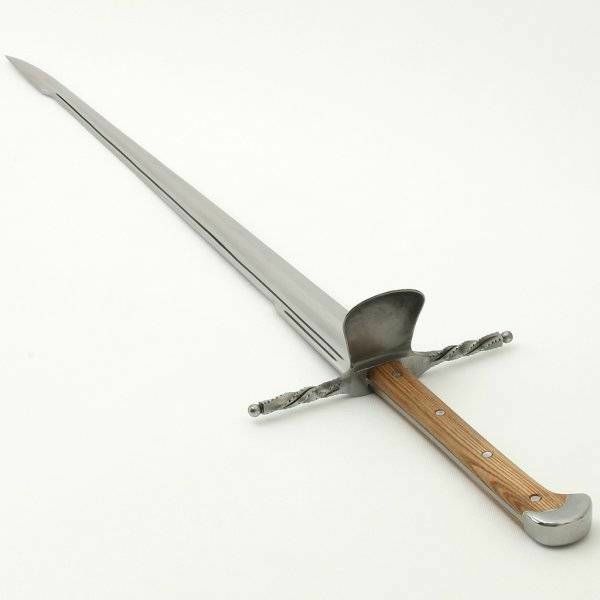 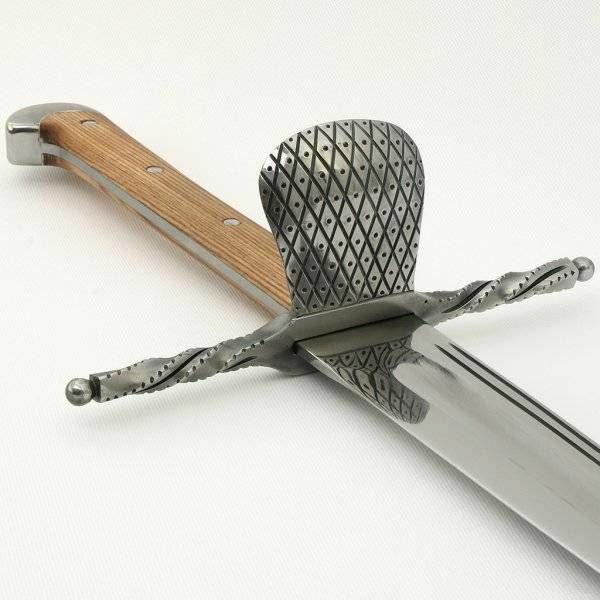 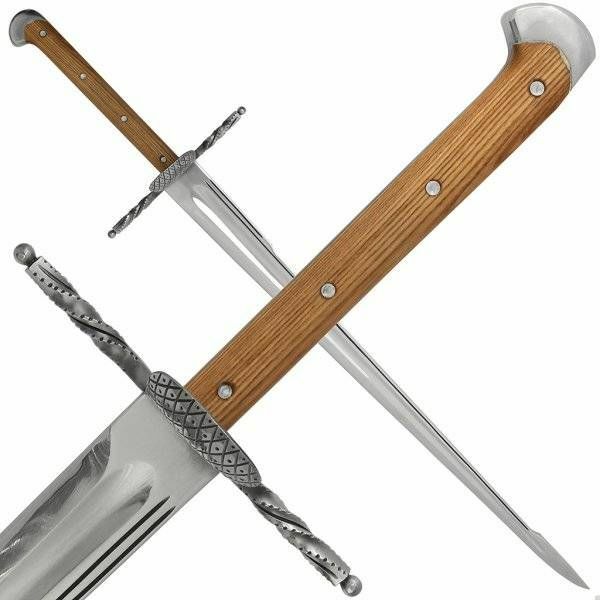 This luxurious grosses messer is made after several 15th century depictions in manuscripts. 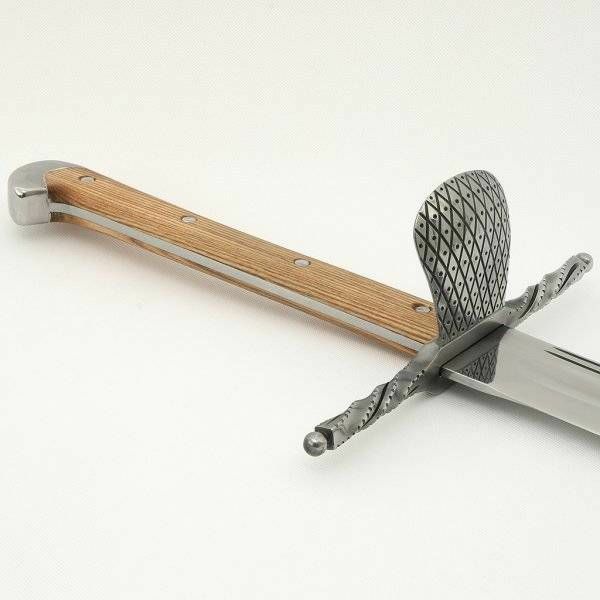 Messers like this were used in all classes of society around the 15th century. 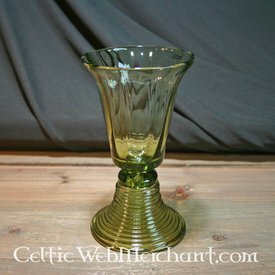 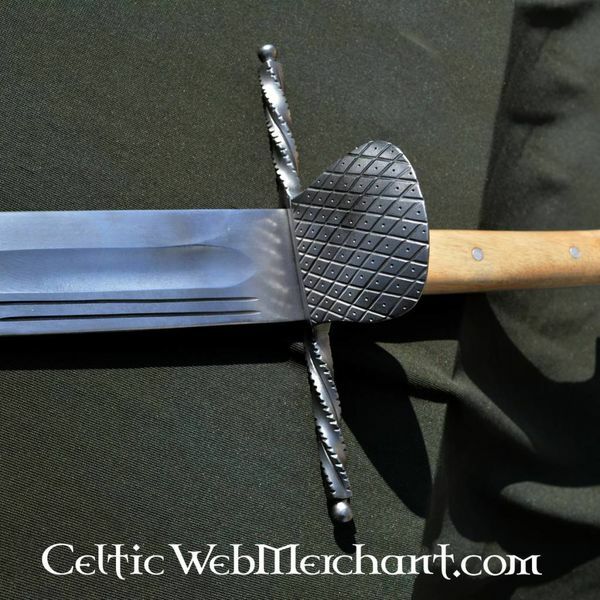 This messer is completely handmade, even the smallest details are finished by hand. 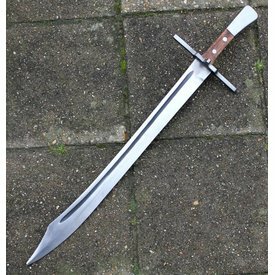 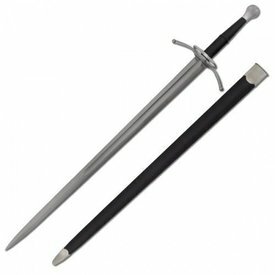 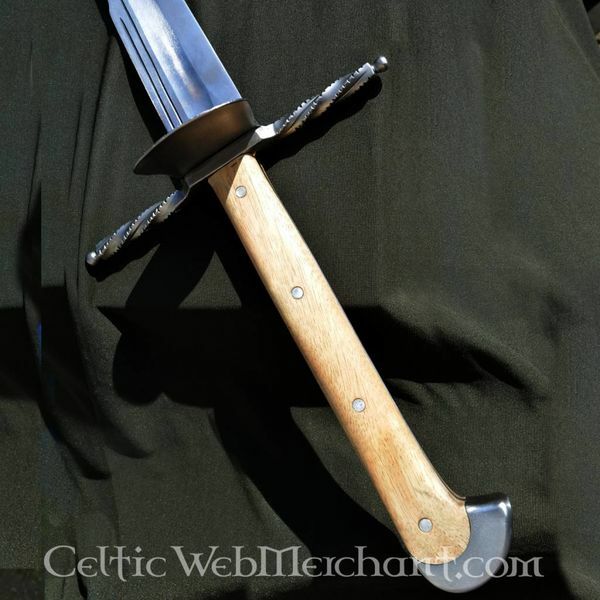 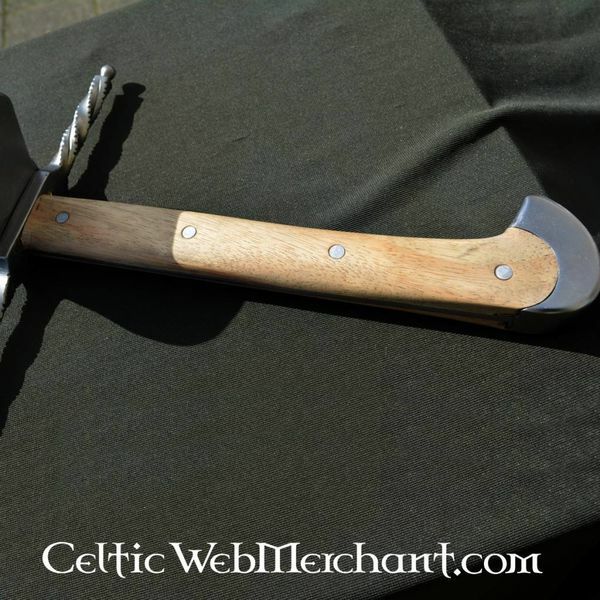 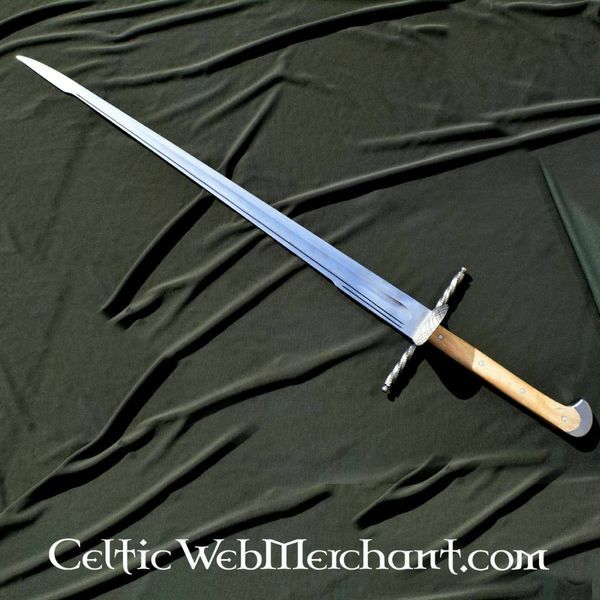 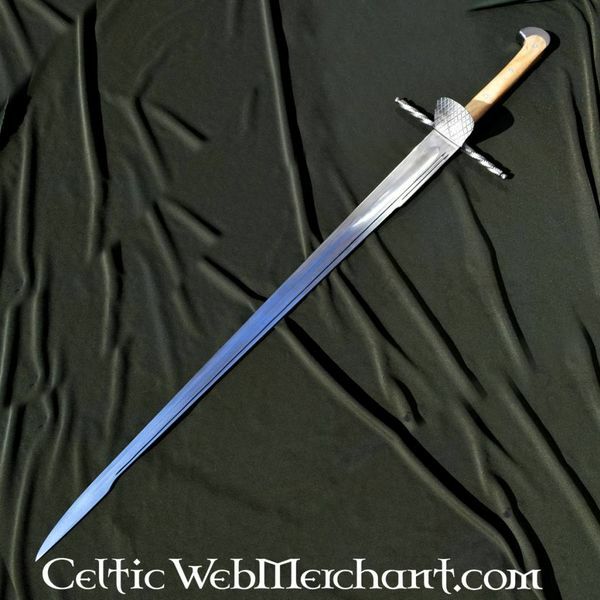 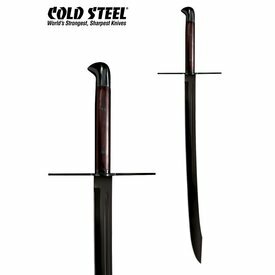 This messer has a carbon steel blade with a 54 HRC hardness. 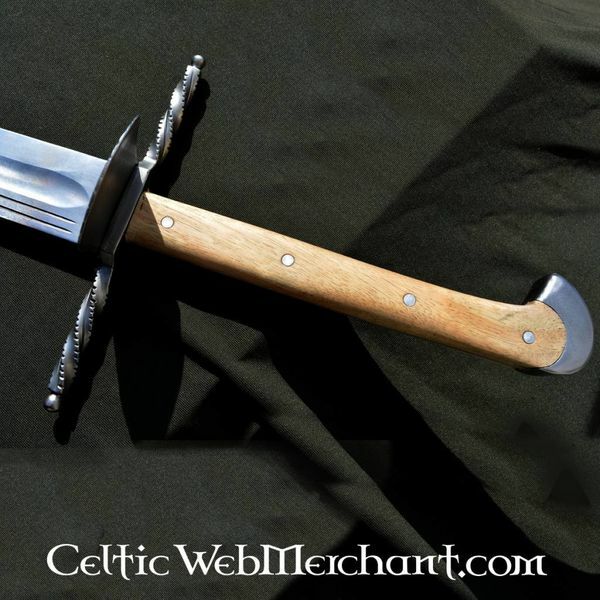 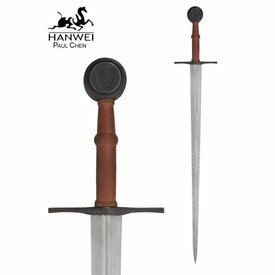 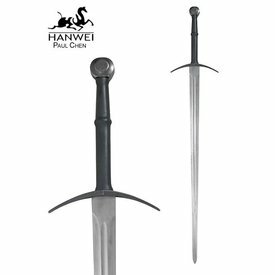 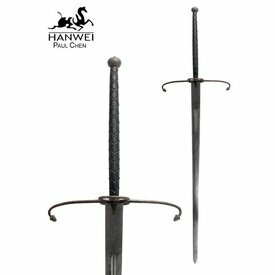 It is 117,5 cm long with a 89,5 cm blade and weighs approx. 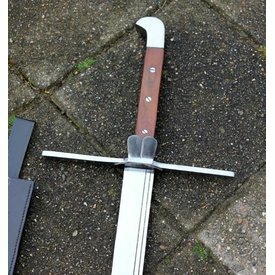 1,7 kg. 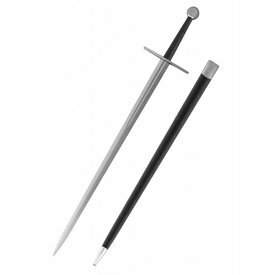 The point of balance is situated 12 cm below the cross-guard.